Dubbed women’s answer to the man cave, she-sheds are taking the traditional outbuilding to a whole new level. In fact, these chic little retreats are giving dust-gathering garden tools the old heave-ho to make room for everything from book nooks to yoga huts and wine bars. Sound like just the thing you’re looking for? 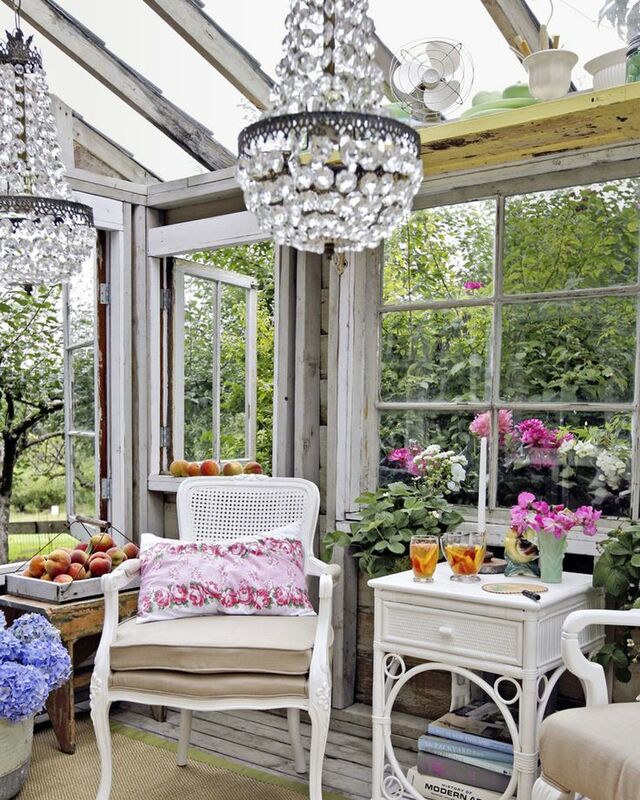 Here are five super-cute she-sheds to inspire your great escape. A rough frame finished with repurposed windows, French doors and corrugated steel creates the perfect casing for this cozy backyard cottage. And, since it’s equipped with an outdoor sink and furnished with a colorful daybed and dresser, this personal oasis is set to do double duty as a wow-worthy guesthouse as well! 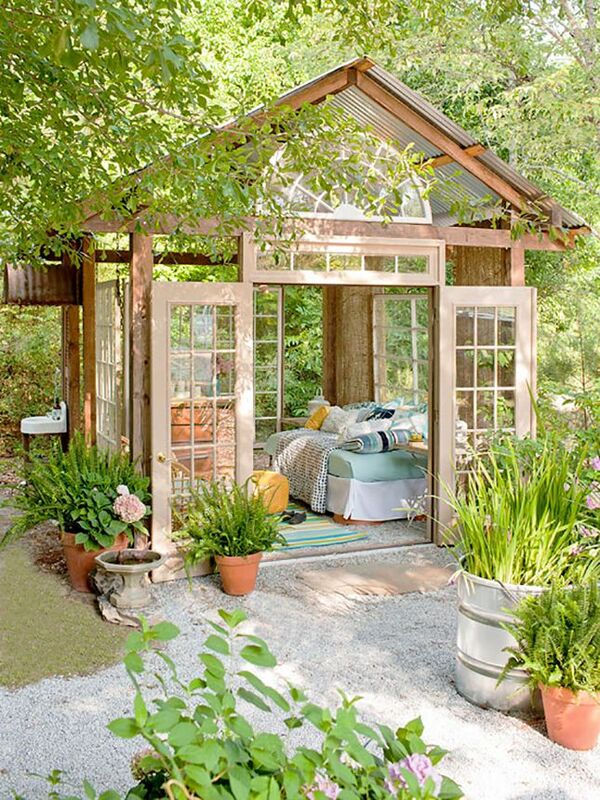 We can think of no better place than this elegant little she-shed to cozy up with a good book or host a close friend for some sweet tea and conversation. From the chandeliers to the fresh flowers and tasteful furnishings, everything about this heavenly hideaway is steeped in southern charm. From the colorful carpets and décor to the lanterns and feng shui-inspired seating, this picture-perfect pagoda offers an idyllic place to unwind and channel your inner Buddha. 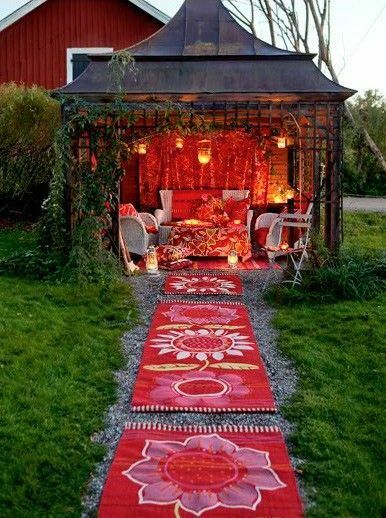 We especially love how they’ve used the pathway to tie the she-shed into the landscape. It looks like a great place to lay down a yoga mat too! 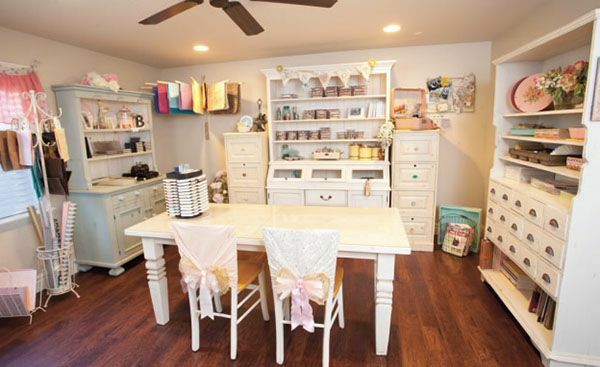 This sweet little she-shed is a crafter’s paradise. Repurposed china cabinets offer ample storage to help keep things organized, just-right lighting ensures that no detail is missed, and a table for two invites friends to share in the kind of weekend retreats that inspire serious, award-worthy scrapbooking. 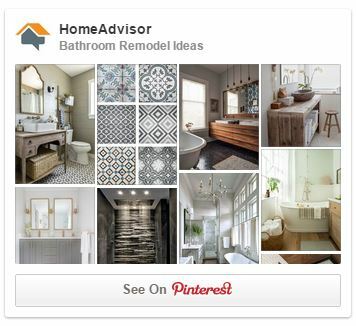 Plus, we simply adore the shabby-chic décor! This simple-yet-sophisticated she-shed is the perfect accessory to a soothing summer. Not only is it the ideal space for storing beach wares such as towels, beach bags and other essentials, but its cozy window seat also offers a peaceful place to curl up with a classic during the inevitable afternoon shower. Bonus points for the red wagon; it’s a statement piece that brings both style and function! Want to build a she-shed of your own? Contact a top-rated carpenter today!